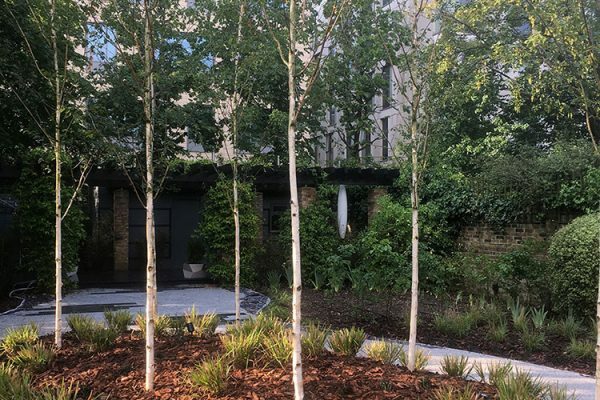 Designed for a very distinct individual, this large back garden reflects the uniqueness of the client, but also encourages thinking, reflection and meditative exploration throughout the seasons. 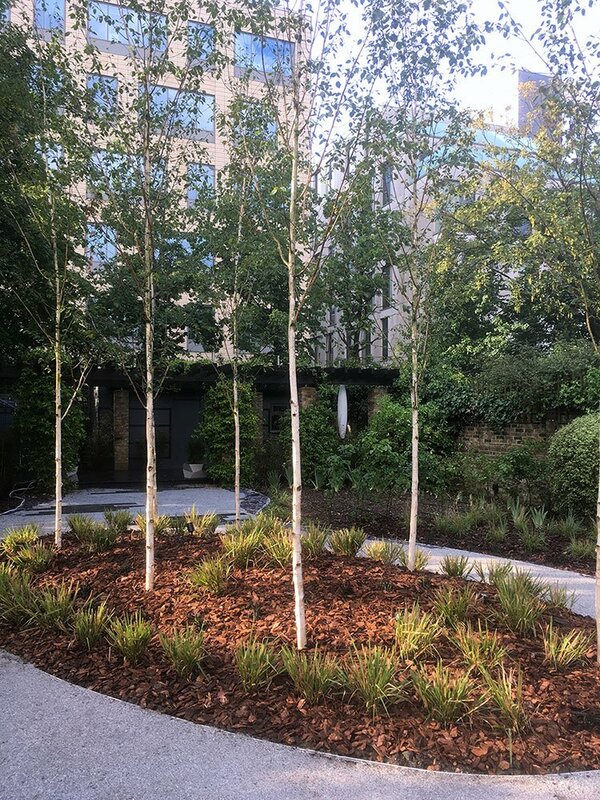 Overlooked by large office buildings, practical considerations for screening were essential and resulted in the central feature of an island of silver birch trees. 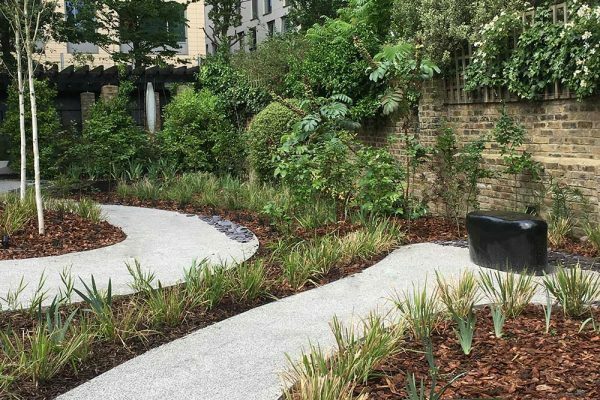 A quiet eddy leads to a firepit, another to a smaller seating area. 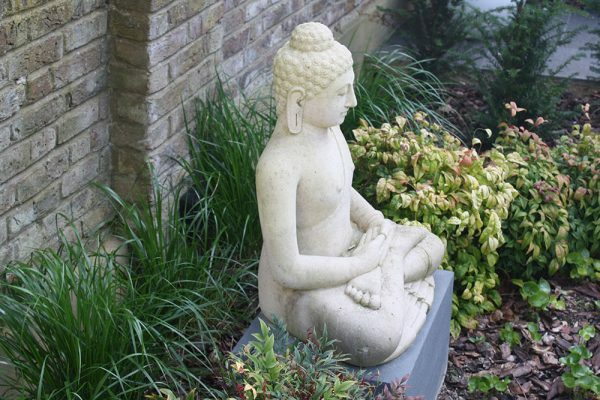 Subtle lighting enhances the mood at night. 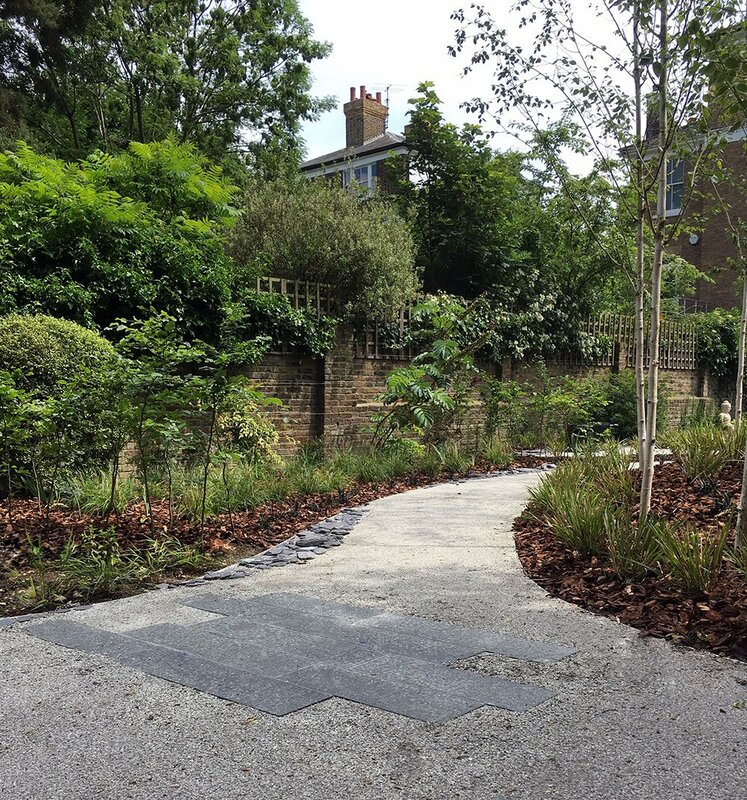 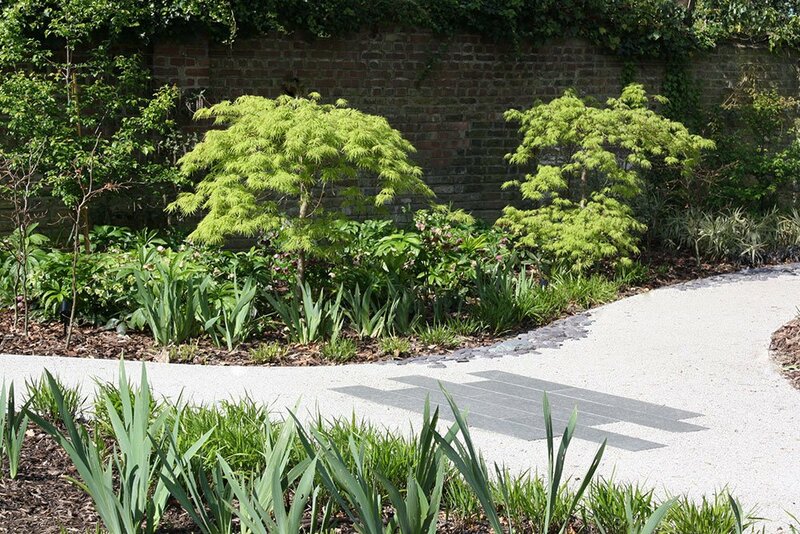 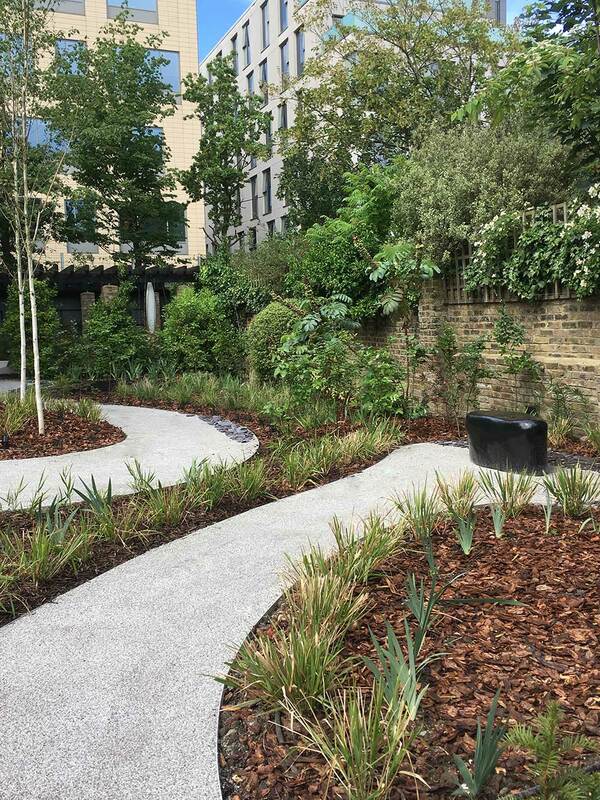 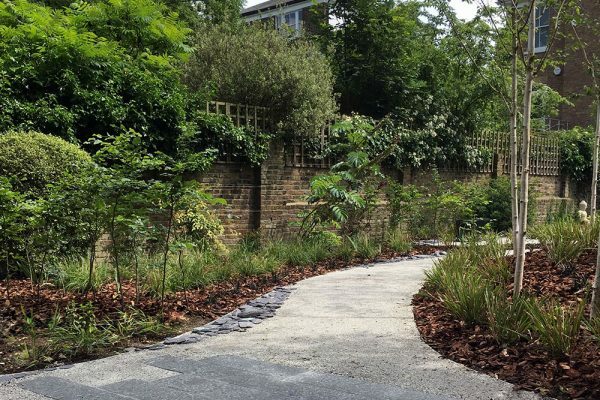 Combined with carefully chosen planting and organic free-flowing paths, this has created a contemplative space in an urban setting.